This piece is part of a collection that places the Black man in pop art aesthetics to represent the Black man as pop icon. 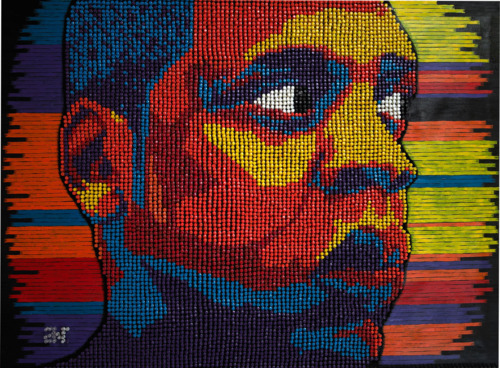 This piece illustrates the idea that every line unveils a glimpse into who Jay-z is. 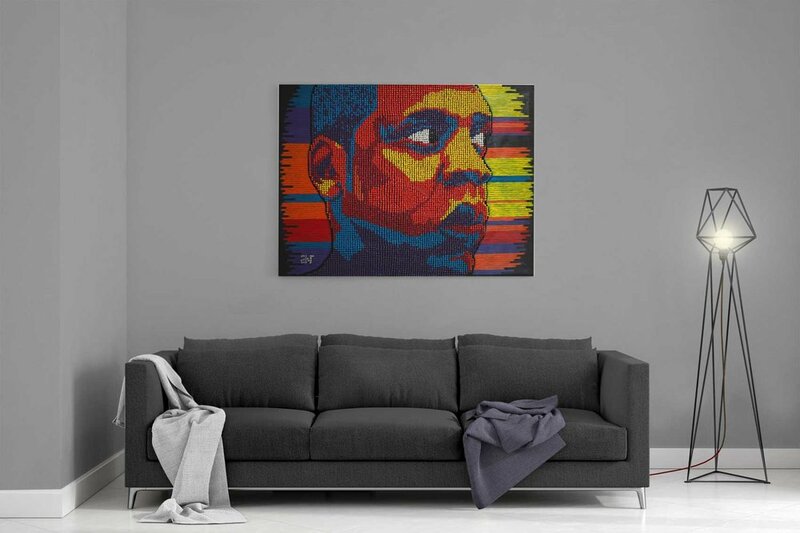 This collection of lines (lyrics), comes together to create a clear picture of Shawn Carter. 5 Colors. 7,633 pushpins. 1 hip hop icon. What was your process for creating this? This was my first pushpin portrait ever. This was a pivotal moment for me in many respects. I made a conscious decision to challenge my creativity and push things into uncharted places. 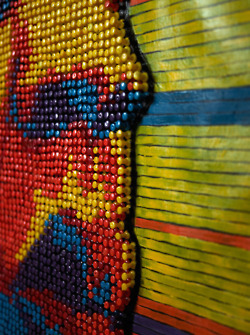 This moved me away from painting and into mixed media of pushpins. It was an experimental thought and once I was able to cop thousands of colored pushpins, it was game over. Why did you choose this subject? Jay-Z has reached a level of awareness and access that places him in a position that few people hold. What were you listening to in the studio? Watch the Throne. Niggas in Paris was the first thing I played to get hype and then I would run through a random assortment of tracks but "Who Gon Stop Me" was on heavy rotation.